The entry requirements for National Diploma (ND) Programmes are as directed by NBTE/JAMB. National Diploma (ND) Programme – Two (2)years. 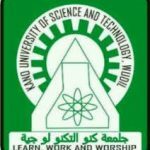 Higher National Diploma (HND) programme – Two 2yrs. 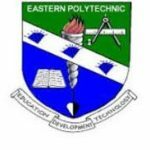 Candidates that are offered Provisional Admission into the Eastern Polytechnic, Rumuokwurusi, Port Harcourt in the 2018/2019 academic session have been granted ONE YEAR FREE HOSTEL ACCOMMODATION. 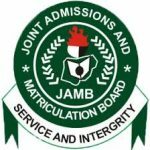 JAMB Cut-Off score has been placed at 100. Number 34 Ogboroama Street Rumukwurusi, Port Harcourt. Nigeria’s workforce today needs continual improvement and knowledge upgrading in order to stay competitive and relevant in the global world. Every Working adult strives to gain more knowledge, skills and qualifications in order to progress and advance in their careers and promotion. Senior executives value varied learning and networking opportunities in a stimulating environment like the Eastern Polytechnic. The Institution offers part-time/weekend programmes for working adults/executives. The duration of these part-time programmes runs concurrently with the full-time programme. The Polytechnic boasts of qualified, experienced, friendly and result-motivated professionals. They give all the assurances that your decision to study with them will never be regretted. 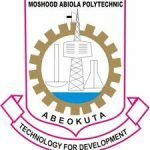 The Polytechnic desires to adopt a leadership style that will enhance their cherished vision and mission by establishing an excellent administration that will inculcate the spirit of learning and passion for acquisition of knowledge in our youths and adult learners by Utilizing unique strategies and methodologies. Visit their Main Campus in Abia State or Port Harcourt Campus for more information and see for yourself, the rich EASTPOLY experience. To celebrate the commencement of studies at the permanent site, all candidates applying for admission at the Main Campus are to pay just N32,500 per semester for the 2018/2019 academic session. 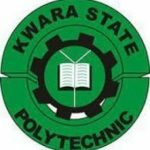 Duplicates of Statement(s); SSCE, GCE, NECO, NABTEB, Etc. Accommodation (Per Session) Optional – N18,000. Accommodation (Per Session) Optional – N45,000. You can pay in full or in two equal installments. 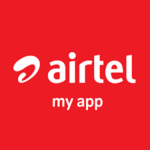 Every payment is to be made into any branch of the under listed banks closest to you, in the name of Eastern Polytechnic. Submit Every bank payment slip to the institution for record purposes.